We provide clean and functional webdesign, tailored to your needs. If you want your website to truly reflect your identity and your values, contact us! 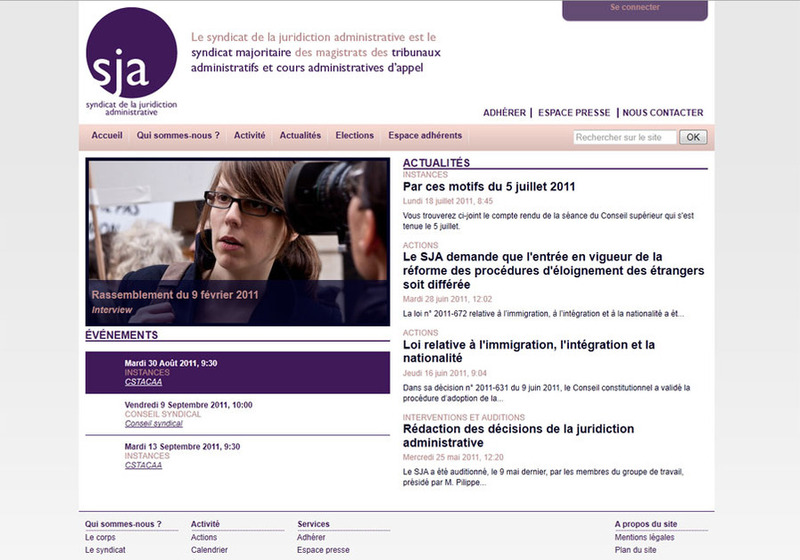 Screenshot from the website redesign of the Syndicat de la juridiction administrative (http://www.lesja.fr).